For the camp application, please visit you MyPaymentsPlus account. 2015 Summer Enrollment: Over 200! Purpose: Dedicated to enriching the lives of young orchestra students with the opportunity for creation, listening, performance, and music career education. Q: What age groups can participate at the camp? A: The camp is focused on 6th-8th graders for the upcoming school year. However, we do accept elementary students! Q: My child is not in middle school yet, but has been playing a stringed instrument for over a year. Can he/she participate at the camp? A: Yes! Though the camp has majority middle school students, we had many younger students who were experienced come and play too! In fact, we encourage it! Q: How many orchestras are there? 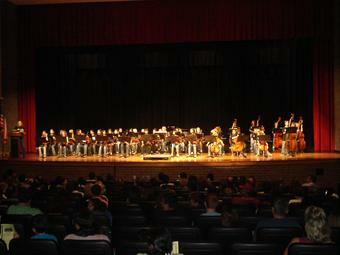 A: We have 3 orchestras: Intermediate, Symphonic, and Advanced Symphonic (POP). We also have a 6th grade portion of the camp with homogenous classes. That level is for students with no experience. Q: When and Where is the camp? This includes the camp t-shirt, admission toAmazing Jakes, hiring staff, teachers, and guest conductors.